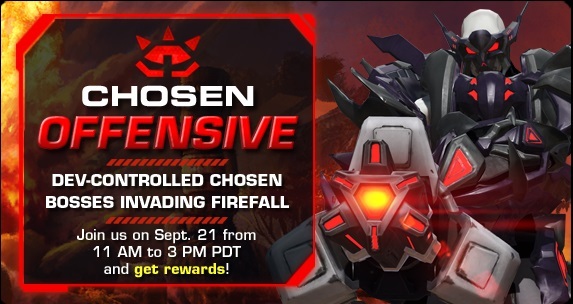 Firefall has announced a new developer event, the Chosen Offensive, hitting the servers this Sunday, September 21, from 11am to 3pm PDT. The Chosen will go on the offense in Sertao, Coral Forest, and Devil’s Tusk for four hours straight, sending in Chosen Strike Teams, Incursions, Thumbers, Darkslips, and more to assault the humans. 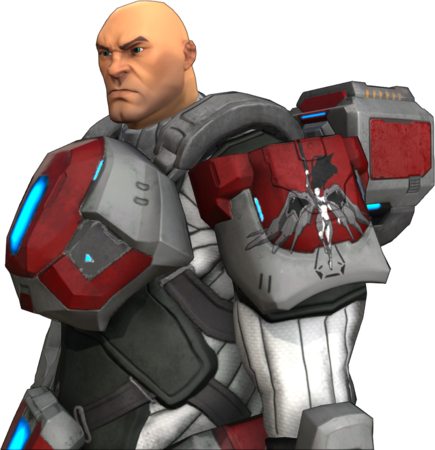 During this, Firefall Developers will be taking control of powerful Chosen that will challenge players with an even more powerful kit than the last dev event. More about the event is available here.